A visit to Mt. Rushmore is something that I never thought I would do. 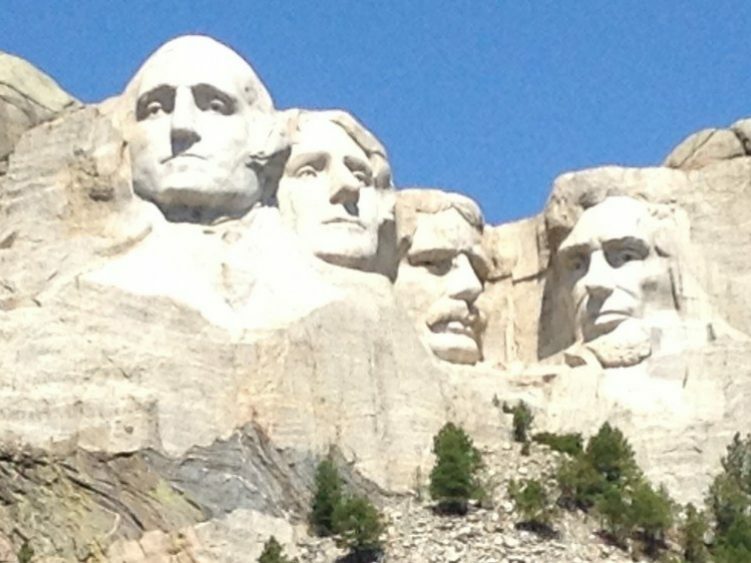 And like other sites, you can see it in books or even movies, but there’s nothing like standing in front of a mountain side and looking up to see four men who had profound impact on our nation. It was indeed impressive. So, even as you are looking at the title picture for this post, if you have never been here before, just try to imagine what it must look like in person. We’re grateful for those who made it possible for us to make this trip across our great country to visit places we would never have thought ourselves to visit. But as much as we marvel at these impressive sites, we still look forward to that which awaits us at the end of our lives as we see Jesus! After leaving Mt. 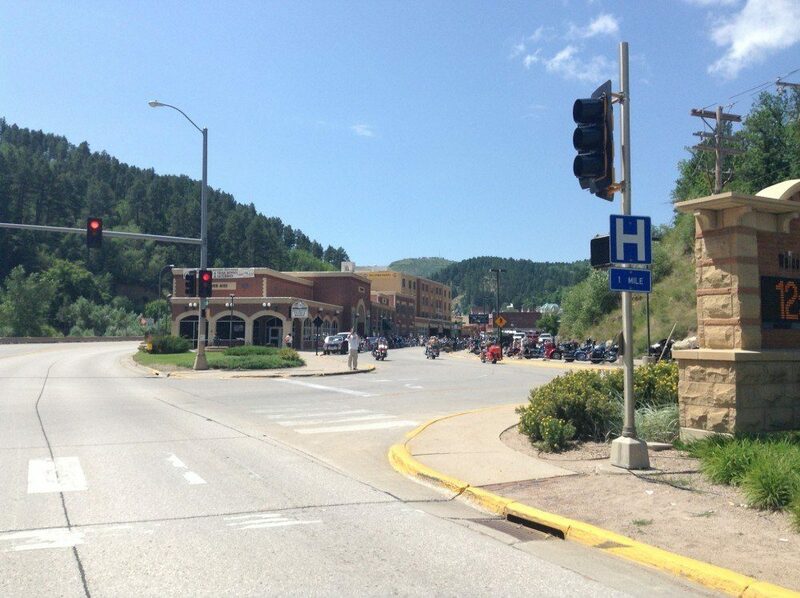 Rushmore, we traveled up to and then from Sturgis, South Dakota, into the town of Deadwood. Deadwood was a gold-rush town that eventually went “bust.” It’s mostly a tourist town now and the day we visited there were also hundreds and hundreds of motorcyclists visiting the town because this was the beginning of the week for a huge motorcycle rally in the neighboring town of Sturgis. We found it difficult to navigate through the town because of the multitude of people crowding the streets and parking areas. So, we headed up to Mt. Moriah Cemetery, commonly referred to as “Boot Hill”, to see the gravesides of Wild Bill Hickock and Calamity Jane. There were other gravesites there as well, since Mt. Moriah is a “working” cemetery. After we stopped at the graves of Wild Bill and Calamity Jane, we walked around the cemetery and noted some striking similarity with the cemeteries we had seen when visiting in Israel. There were small stones laid upon the headstones and tombs of many in the cemetery. We were told in Israel that when a person visited a grave that they would place a small stone on the grave as an indication that the person who died was not left alone and forgotten, but that there were those who were remembering them. We also discovered that there was a good size Jewish population in the Gold Rush town of Deadwood when it was first settled. So even today there are those who are practicing this ritual of remembering those who died. I noted one gravesite in the Potters Field section that was the grave of a soldier. His headstone was vacant until I placed a small stone on top. 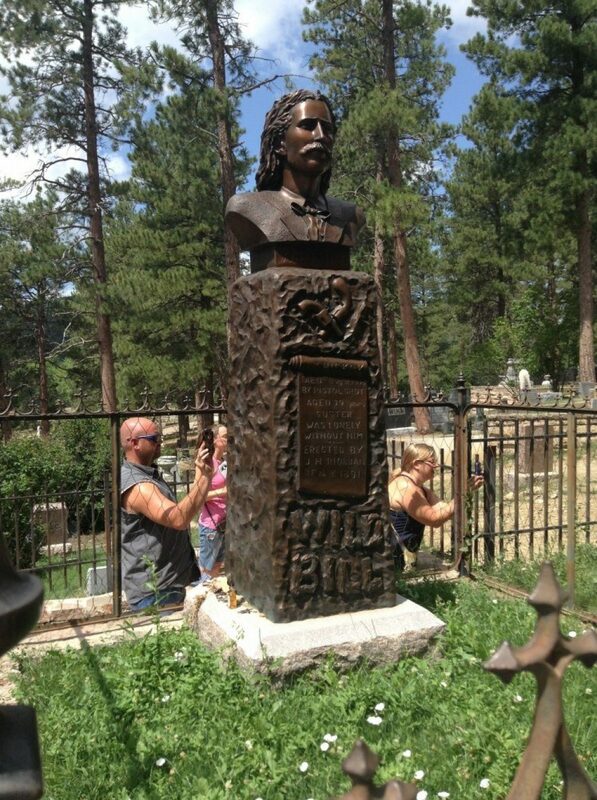 We then traveled out of town to a monument erected by Seth Bullock for his longtime friend Teddy Roosevelt, who was the 26th president of the United States. Seth met Teddy when Teddy was just about 26 years of age and they became lifelong friends. 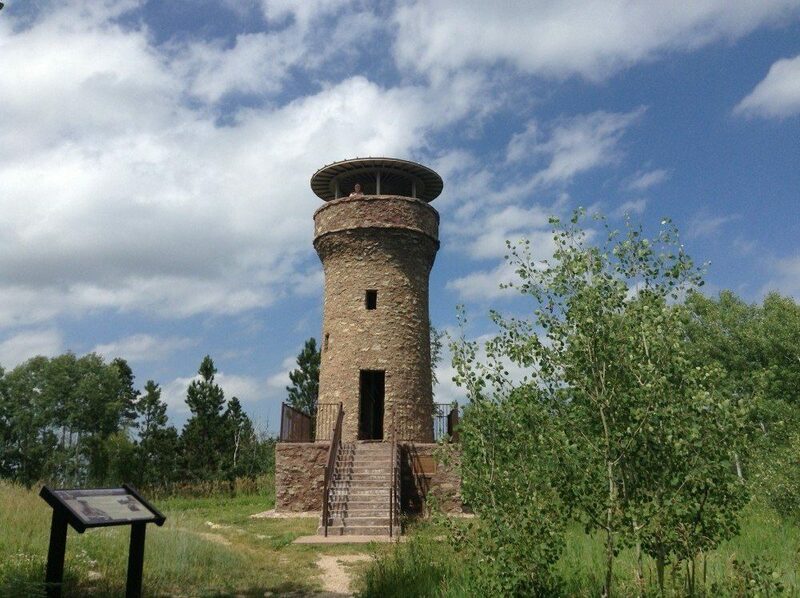 Seth mourned Teddy’s death and wanted to erect a monumental tower in memory of his friend. The tower can be seen in the title picture of this post. There was a great view of the surrounding hills and valleys of the area from the top of the tower and striking views along the path that we took to the tower. Those views were certainly worth the hike and the monument reminded us that the memories of those who have lived before us can go on for many years.